All-Energy Australia 2016 starts tomorrow, and this year the event will see an increased focus on battery storage. Running 4-5 October at the Melbourne Convention And Exhibition Centre, All-Energy Australia will feature 168 exhibitors. It’s the nation’s largest and most comprehensive clean and renewable energy event. Among the companies attending will be SMA Australia, which will be showcasing the Sunny Boy Storage battery inverter (now available from Energy Matters), compatible with the Tesla Powerwall battery. Enphase will also be in attendance, and there will no doubt be plenty of interest in the Enphase AC Battery. The exhibitor list is a who’s who of the solar power world, including SolarEdge, Fronius Australia, Ingeteam and ABB. 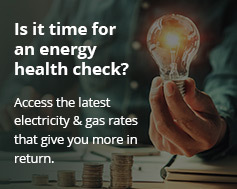 “The sheer diversity of All-Energy Australia during an important time for the renewable energy industry will share the latest developments and ensure industry players stay at the front of the pack rather than struggling to catch up,” said Clean Energy Council Chief Executive Kane Thornton in August about the event. The CEC will also host the ATRAA Dinner, where winners of this year’s Solar Design and Installation Awards will be announced. All-Energy Australia is held in partnership with the CEC, which will be running Professional Development Program sessions at the event. Entry to the main conference and exhibition is free. The State Ministerial Welcome will be delivered by Liliana D’Ambrosio MP, Victoria’s Minister for Energy, Environment and Climate Change, at 8.10am tomorrow. Further details on the event can be viewed here.